Stainless steel guardian angel necklace. 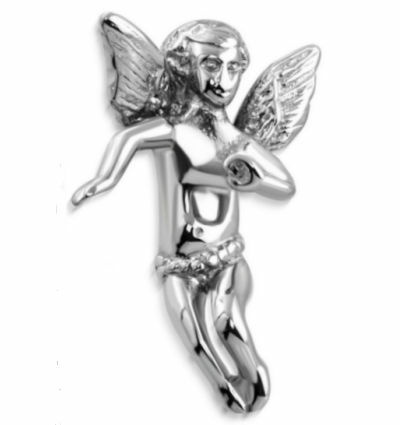 The angel pendant measures 1 1/4 inch high and comes with an 18 inch stainless steel chain. Lead free.